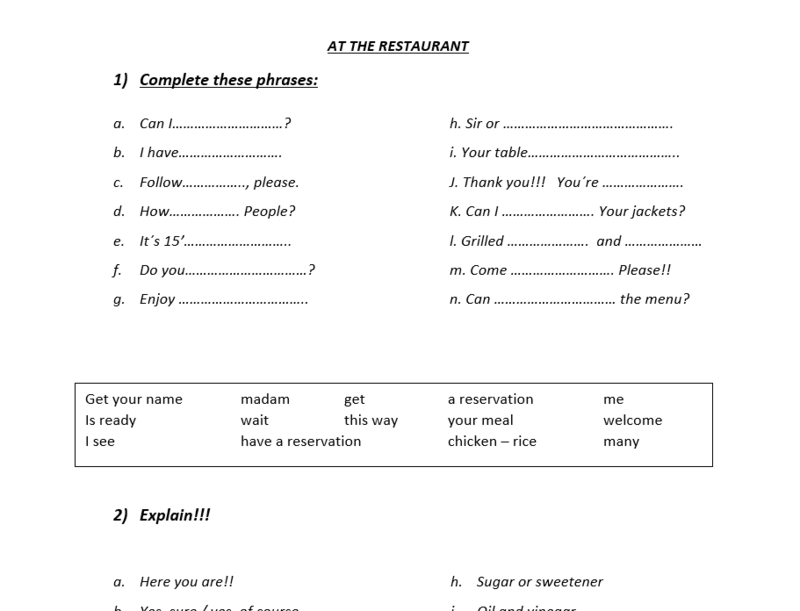 This is an activity to fill in phrases related to dining at a restaurant. 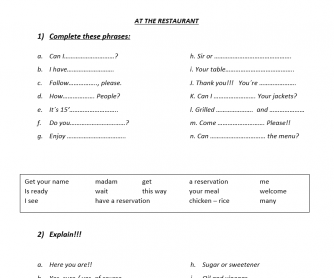 It is a series of words and phrases typically used in Restaurants. At the end students can prepare a conversation using the vocabulary provided above. It is good practice for beginners and pre-intermediate level students.